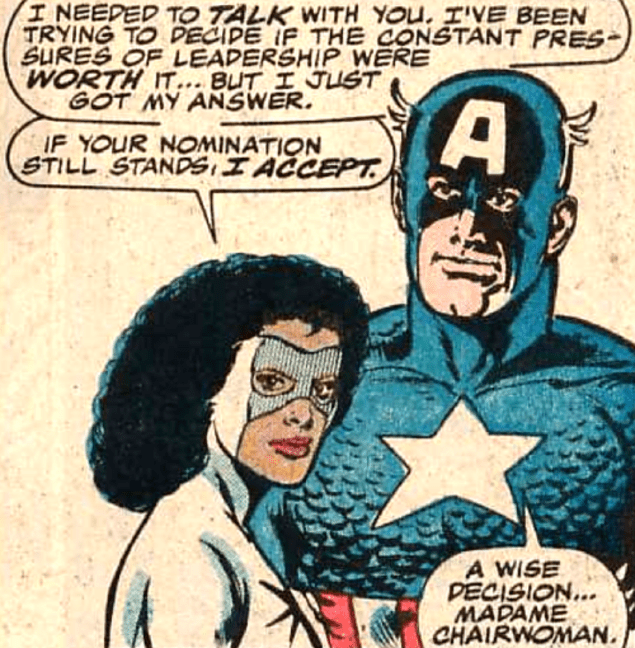 The weird comics erasure of African-American character Monica Rambeau as Captain Marvel, who owned the title for more than a decade and was a leader of The Avengers, continues to be one of the weirdest aspects of modern Marvel. 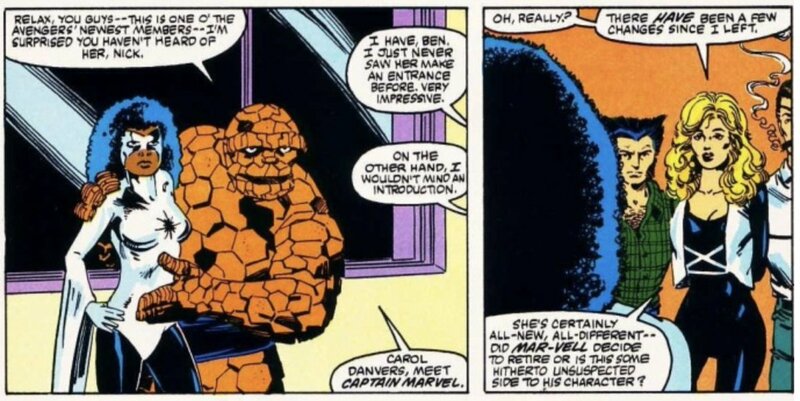 First: Monica was not a “brief” visitor to the Marvel Universe. She had a LONG career, LED the Avengers, had a pretty expansive backstory and character growth arc… we’re talking much longer than many current characters. It’s weird that she’s just gone. Not mentioned AT ALL. Second: I get that Brie Larsen’s CM is the one in the theaters and you focus there. But you didn’t see Marvel erase Rhodey/War Machine from their comics during IM1. Maybe movie Monica will set up more as it did with Rhodey but the comics completely erasing her is different. I get that this plays into the bigger social “war” but it doesn’t need to. Marvel has a character, who happens to be an African American female hero that WAS the leader of the Avengers and super powerful. They want to focus on Carol fine but what gives with the total removal? PS… if you’re jumping onto this because you hate Carol or hate Brie Larsen, you’re certainly entitled to that opinion but it’s not where I’m coming from. I’m coming from a very simple position: Monica is a known, long-running character. It’s not just “back burner” but “erased”. The character, created by writer Roger Stern and artist John Romita Jr., first appeared in Amazing Spider-Man Annual #16, October of 1982. After her debut, the character appeared throughout the entirety of Roger Stern’s five-year run on The Avengers, ultimately becoming the team’s leader in Avengers #279. Under her command, she kept the team in top shape as they faced off against the Super-Adaptoid and the Greek gods when they came in search of revenge after the Masters of Evil left Hercules critically injured. Unfortunately, her time as chairwoman would only last about a year, as an accident left her briefly powerless and forced her to resign from the team, and we never truly got to see what she was capable of. She later made numerous appearances as a reserve member after her departure from active duty. Monica returned in The Avengers vol. 3 with sporadic appearances between issues #1-59. Her most recent appearances in the Marvel Universe were in 2013, appearing as one of the lead characters in the Marvel NOW! 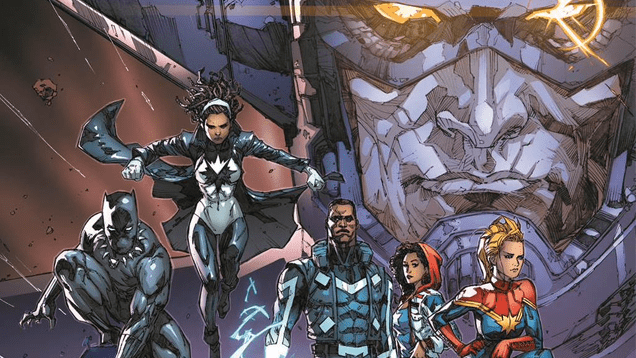 relaunch of Mighty Avengers, acting as the team’s field leader under the new codename Spectrum. She eventually wound up in the Ultimates. 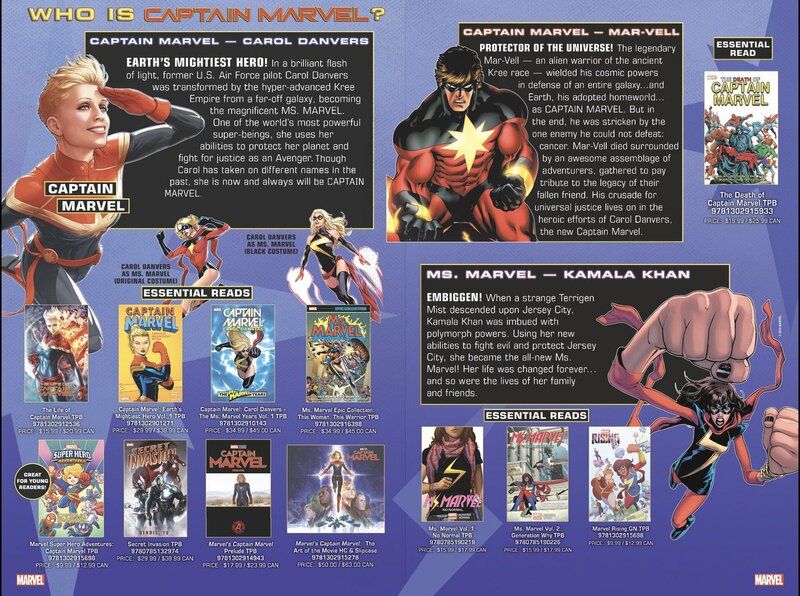 A shame that Marvel has sidelined their first black, female leader of the Avengers to promote Carol Danvers as their one true Captain Marvel, skipping the original Mar-Vell’s history entirely. But thankfully, the character makes her cinematic debut in Captain Marvel played by Akira Akbar. Thankfully other people are beginning to notice that Marvel isn’t exactly putting their best version of a female Captain Marvel forward. PREVIOUS POST Previous post: Shop Talk: Get to the End of a Story PLUS the Amazing Baby Puncher!